I love soup. There’s often a fresh pot of soup sitting on the stove and I could eat it twice a day (and I often do)! 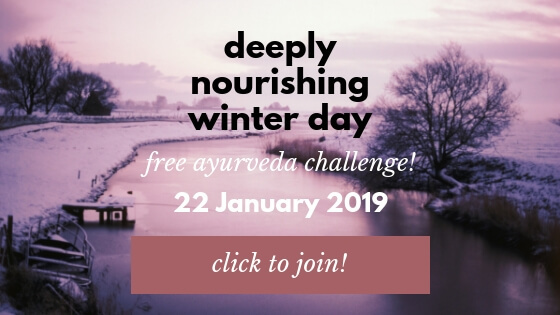 Especially in winter, it’s so nourishing and soothing. In winter the Kapha energy is getting stronger. Excess Kapha will become aggravated come early spring, so better avoid the build-up now! Aggravated Kapha will typically manifest in symptoms like lethargy, low energy, colds and mucus. So you might see some pumpkin recipes passing by here on the blog! 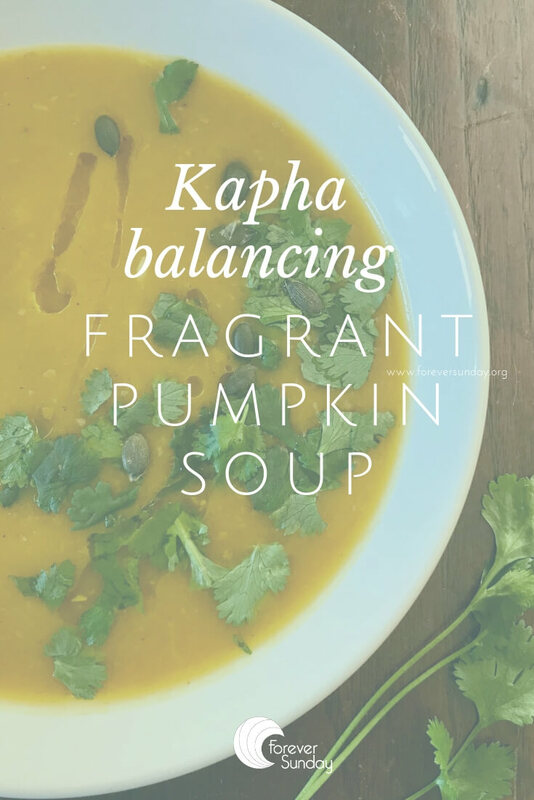 I’ll start with this fragrant kapha balancing pumpkin soup. 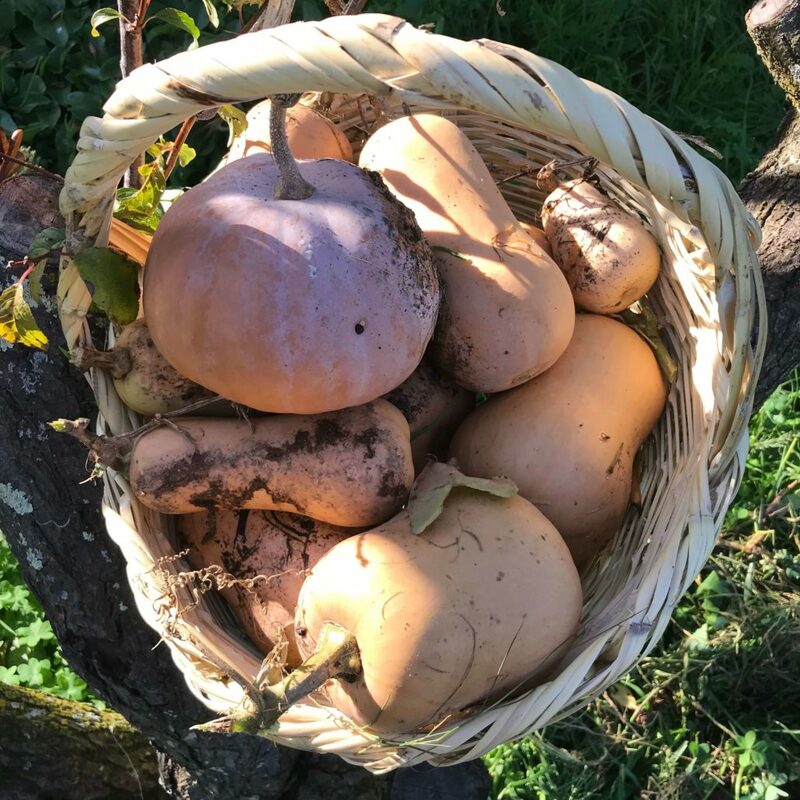 Pumpkins are sweet and astringent, and for Kapha food can’t be spiced enough! 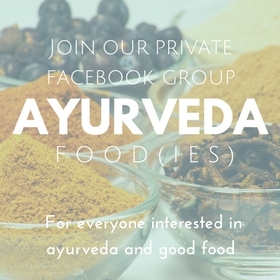 I like to add ginger and a bit of asafoetida to ease digestion, but not too much as it can make your food taste very bitter. greens of one small leek, sliced (about a handful). I often use the leek greens in soup but you can also use the white part of course. Heat the olive oil in a pot. When warm, add the spices and stir so they don’t burn. Add the leek, carrot and pumkin and stir until all is covered with the spices. When the veggies are softened, pour boiling water on top so the veggies are just covered. This way the soup will be thick and filling. Let cook until the carrots and pumkin are tender. I used a pressure cooker and it took about 6 minutes. In a normal pot it will be 15-20 minutes, depending on the size of your cubes! When the veggies are tender blend the soup. Add pepper and rock salt to taste. Add the orange juice (secret ingredient ;-) ) and stir well. 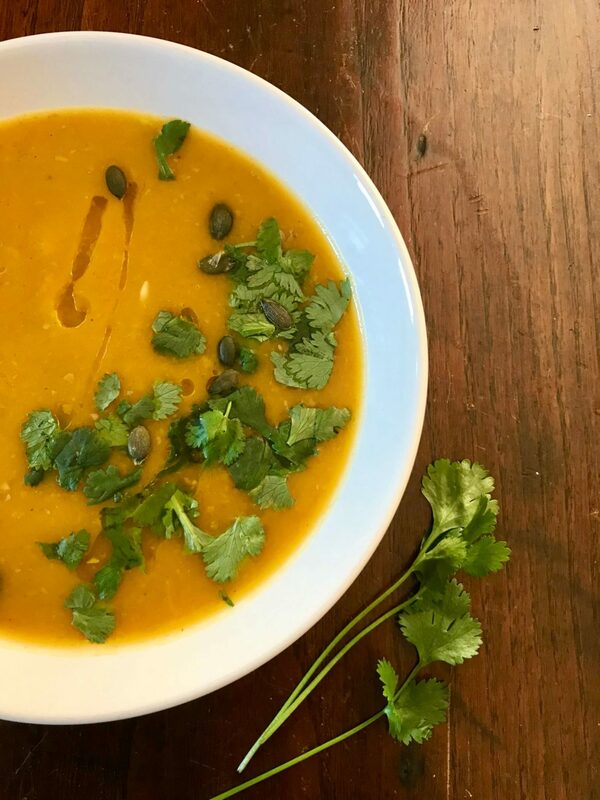 Serve with coriander leaves, pumpkin seeds and a dash of linseed oil.